Google Update – Panda 4.1 – What’s changed? So last week Google released an update to their search results affecting all high-quality small-medium-sized sites, to help rank them higher. This new algorithm will increase the relevancy of smaller sites and higher rankings in the results. But that doesn’t mean you will just start ranking higher automatically, there’s always a catch. If your site has “thin content” you need to do some work and add more relevant content. Add value to these pages, not just keywords, but human-readable interesting content. If you don’t do anything it will get worse for you. The pages with this thin content will be hit by the so called slow-death phenomenon. They will over time gradually lose their visibility until nothing is left in Google’s results. So companies should build a Panda-proof plan to implement right away before you drop off of Google’s result’s entirely. If you need help with this… you know who to contact, so act today. 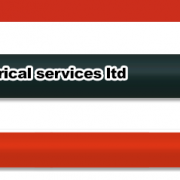 https://www.controlyoursite.co.uk/wp-content/uploads/panda4google.jpg 800 1200 Control Your Site https://www.controlyoursite.co.uk/wp-content/uploads/logo-sep-20131.png Control Your Site2014-10-02 12:40:122014-10-02 12:40:12Google Update - Panda 4.1 - What's changed? So iOS8 arrived. Yet despite the usual booing crowd of envious competitors, which happens every release, it’s got a ton of great features. Generally, I’m very happy with this release, with such a huge amount of changes and additions. Poor Apple are having a hard time as usual, whenever anything is released – the iPhone 5 deadly grip and now the bendy iPhone 6, but I don’t consider the complains worth considering after doing the math. Over 10 Million sales and only 9 reports of bent iPhone 6’s? – Thinner is always better (in technology anyway, I hear ladies disagreeing), but surely the common sense thing to do for anything expensive is, don’t put it in your back pocket – and don’t sit on it?! Despite the new iOS being great, I have an issue with deleting mail. Something’s changed in the interface that’s making it far too easy to accidentally delete mail messages. Looking at the list of E-mail’s in your inbox, see these actions. If you swipe left quickly, the e-mail is deleted in a nanosecond, no sign of a button. Yet, if you swipe left slowly, the More, Flag, Delete actions are revealed. If you swipe left slowly all the way till the edge of the screen, the whole e-mail shows a delete button, releasing your finger and it’s gone! So be extra careful.. it’s tricky, especially if you’re in a hurry. The new operating system update for iPhone and iPad users arrives tomorrow, bringing with it a huge amount of helpful changes that will no doubt once again streamline our daily routine using these devices. Messages, voice recording, video recording, location sharing – better connection for the forthcoming Apple Watch due in early 2015. Better connection if you have an iPhone and iPad or iMac, you’ll be able to answer Phone calls from any of them. Green Bubbles. Now you can message people who don’t have an iPhone too. This is a game-changer. SMS and MMS too. Fitness Apps and a new dashboard to monitor your activity. Work on any file type via iCloud using any device. Up to 6 people in your house can share your music/ibooks/apps easily. Enhancements, shortcuts and better suggested wordings. Plus, start writing an e-mail on one device, and continue on another. Simpler than ever, new search, smart albums, new editing tools. Touch ID, the fingerprint login is being made available to all apps, so look forward to no more pin numbers for some pesky apps, plus easy payment too. Looks like Siri has had a haircut too, so he’s even snappier than ever. Anyone with an iPhone 4s or iPad 2 or above. Clean, modern and sleek UX. Professional fonts and attention to a minimalistic experience for the user. Responsive and professional. 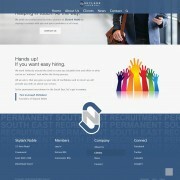 The guys at Skylark Noble, a specialist permanent recruitment startup in Gravesend, came to me after having a bad experience with a previous design agency. 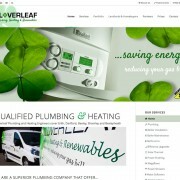 With a clear image in their minds of what they wanted to realise for their web presence, this site took around 10 days to launch. 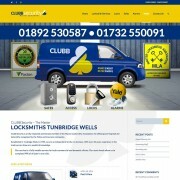 A fully responsive website, mobile friendly with news section to display their current/previous works. 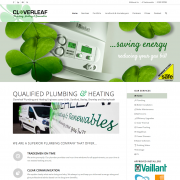 Cloverleaf required a single hub to control the delivery of news updated via the site automatically to all of their social connections without having to juggle each social medium separately. News posted at Cloverleaf is automatically updated to their News Blog, Facebook, Google+, Twitter and RSS feeds. Subtle animations and Font Awesome icons for clear navigation, plus easy to use conditional forms were also added.